Is there a better alternative to iMaster Java? Is iMaster Java really the best app in Reference category? Will iMaster Java work good on macOS 10.13.4? 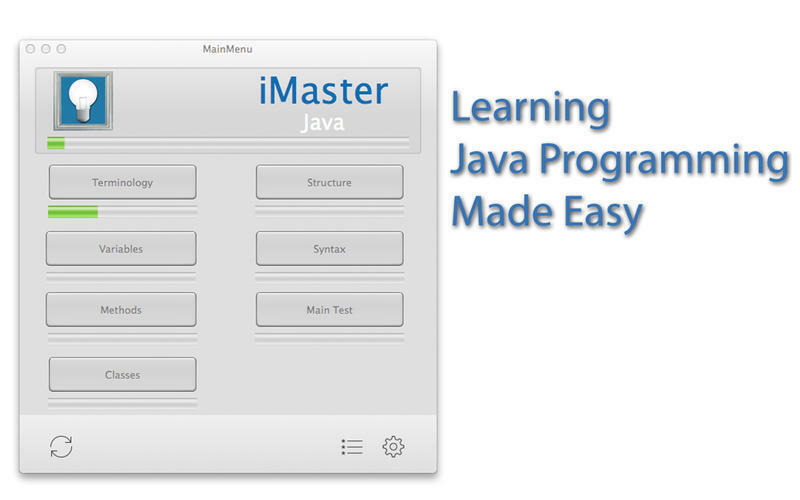 iMaster Java is the easiest way to learn how to program with the powerful and popular programming language Java. Broken into 6 different topics and 1 main test, iMaster helps learn all aspects of Java programming. A topic is "mastered" once it has been passed 3 times. You are considered a master of Java once you have completed all quizzes. Great for learning a new technology for your job skills or to learn this new programming language. iMaster Java needs a review. Be the first to review this app and get the discussion started! iMaster Java needs a rating. Be the first to rate this app and get the discussion started!